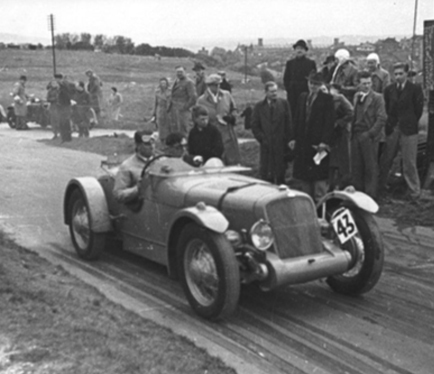 Created by Ted Batten in 1935/6 the car has seen continuous competition action throughout its life, starting at Brooklands Motor Course where it won its first race by three quarters of a mile, through Donington Park, Oulton Park, Silverstone, Mallory Park, Croft, Prescott, Shelsley Walsh, Harewood, Doune and many more. 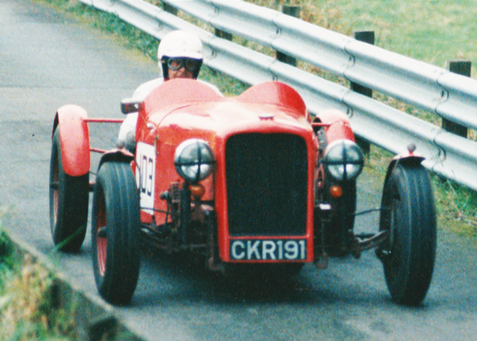 Over the years many changes have been made by the six owner/drivers of the unique racer, culminating in the fitting of a modern supercharger to raise the output to close on three hundred brake horse power. 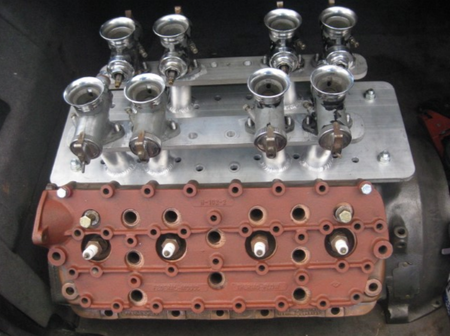 A return to an earlier configuration is now in train with the building of a replica of the very special engine which was fitted in 1938 for racing at Brooklands. 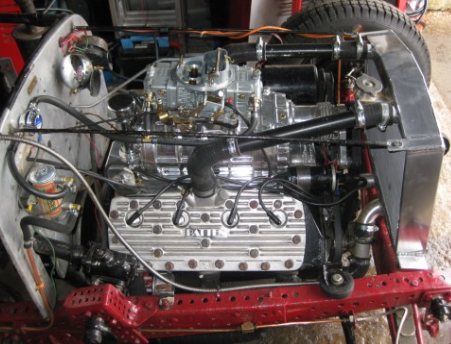 Details of all the changes and modifications are contained in the book, along with all known competition details. 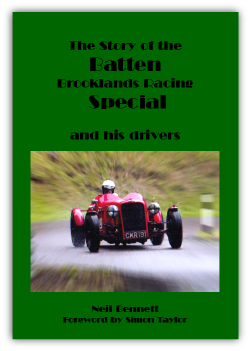 This charming book details the life of the Batten Brooklands Racing Special by its enthusiastic owner/driver.